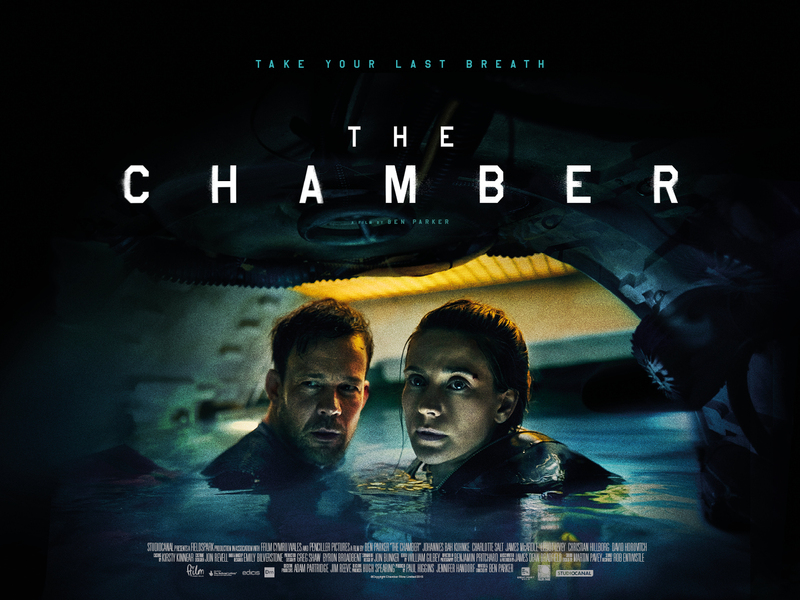 The official UK trailer for the claustrophobic suspenseful thriller THE CHAMBER has been made available today by STUDIOCANAL. Starring Johannes Kuhnke, Charlotte Salt, James McArdle, Elliot Levey, and is written and directed by Ben Parker (feature debut). THE CHAMBER is a claustrophobic survival thriller set beneath the Yellow Sea where the pilot of a small submersible craft and a three-man Special Ops team become trapped underwater in a fight for survival. Stars Johannes Kuhnke (Force Majeure) and Charlotte Salt (The Musketeers) as the pilot and leader of the crew who must fight for their lives and against each other as the water rises and air supply runs out. Includes a haunting, atmospheric score by James Dean Bradfield of the Manic Street Preachers (in his first work for film), which adds to the claustrophobic tension of this taut survival thriller. THE CHAMBER will be released in cinemas on 10th March 2017, and on DVD, Blu-ray and digital download 20th March 2017.